Scalp acne or Scalp Folliculitis is the inflammation of the hair follicles in the scalp. Small, itchy, pustules push up though the scalp and are most irritating when they occur around the visible hairline. The usual reaction of people who get it would probably to use the same acne product as they do for acne on other parts of the body. In its severe form, scalp acne is characterized by large cystic-like bumps along with smaller pustules and papules, which are filled with pus, and can be quite painful. The number of lesions varies, but even a few lesions can become worse and numerous because they tend to be very itchy and are difficult not to scratch. When they are subjected to even the slightest contact, they become sore and encrusted. This can lead to permanent scarring and hair loss over the affected areas, creating unsightly bald patches. Severe scalp acne can be very resistant to treatment and it is recommended that the sufferer seek medical help immediately. A doctor usually prescribes oral medication (antibiotics or isotretinoin) or systemic steroidal treatments. Experts vary on the causes of scalp acne, although it is generally agreed to be the inflammatory reaction of the scalp to components found in the hair follicle—sometimes hair products that become trapped but mostly microorganisms, such as: yeast, bacteria, and mites. Vitamin B5. Also known as Pantothenic Acid or D-Calcium Pantothenate, Vitamin B5 can be used to get rid of scalp acne. Large amounts are taken daily. One popular and effective brand is Vilantae. Click here to learn more about using Vilantae brand Vitamin B5 (D-Calcium Pantothenate) to treat your acne. 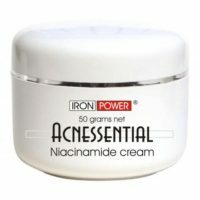 Of the non-prescription Scalp Acne treatments listed above, Vitamin B5 is probably the best for treating acne on the scalp because of sheer convenience. Taking a pill is easy and entails no mess at all. Oral IsotretinoinOf the prescription cures for acne affecting the scalp, the oral route is probably the best for this form of acne, because topical treatments can be quite messy because of the hair on your head. 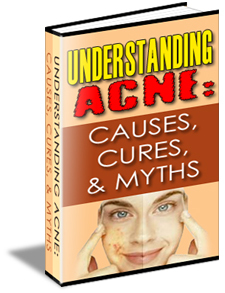 ← Treating Genital Acne – What Is the Best Acne Product for Genital Acne Treatment?